This week at Stampin' Royalty we are challenging everyone to Christmas in July. 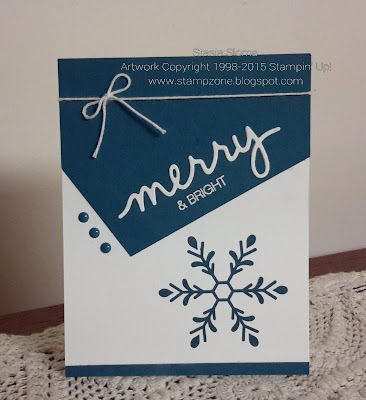 I wasn't sure what I was going to create, I started looking at my holiday stamp sets for inspiration. I decided to go with my favorite Holly Jolly Greetings and Christmas Greetings Thinlits. Then after a little playing I decided to change up the stamp set and thinlits by making it in the Dapper Denim color combination.